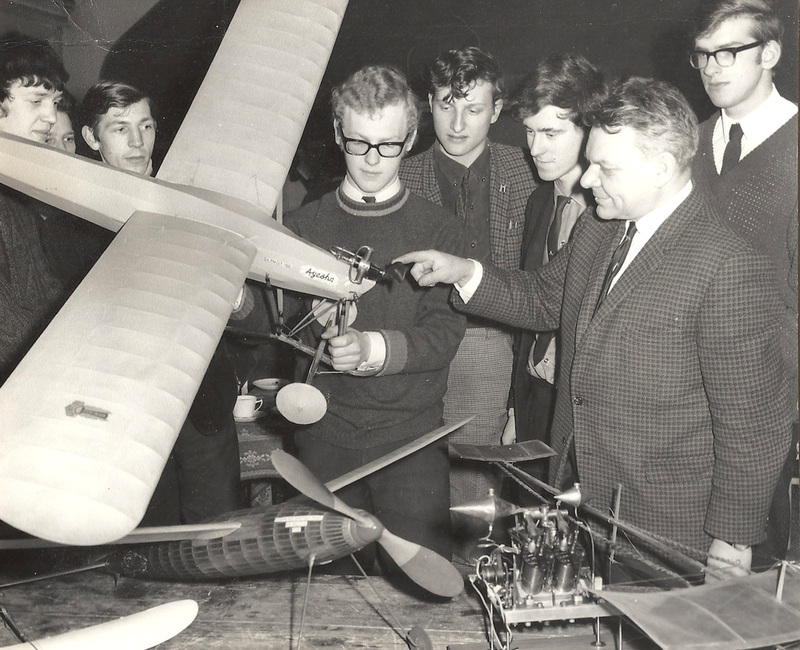 'The Commander' deivering a lecture to Maidenhead Model Makers Club. 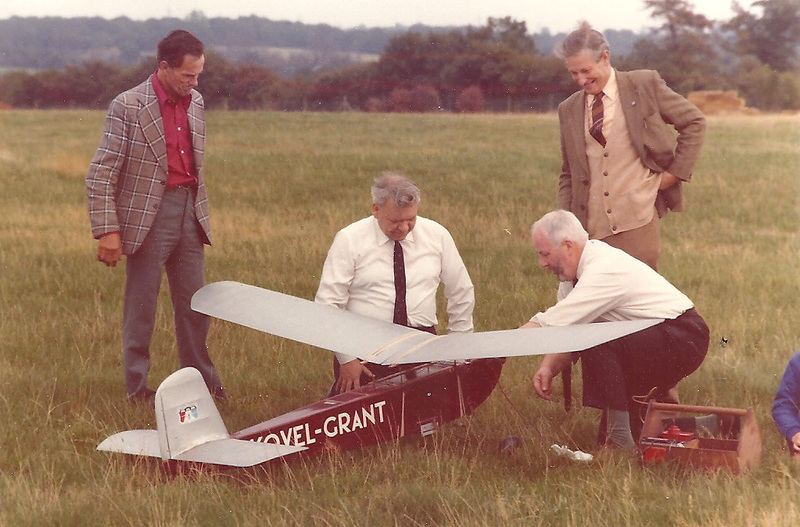 This picture was taken at Old Warden in 1975. 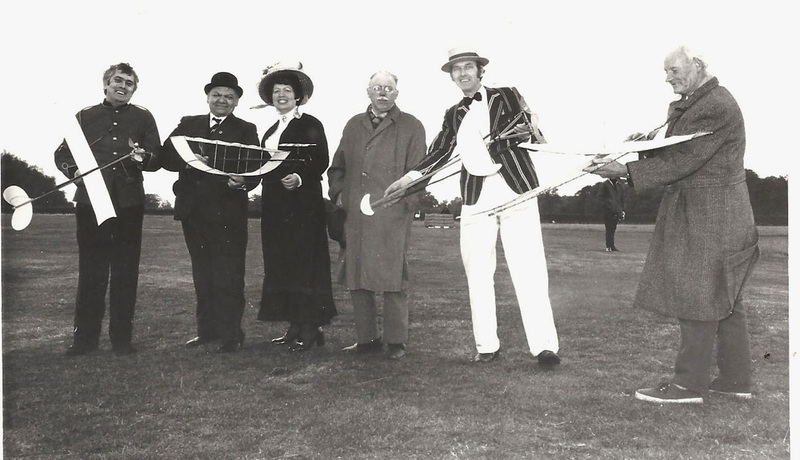 From L to R we have Bob Kinroy, Alwyn Greenhalgh, Evelyn Barrett, C Rupert-Moore, Pat Spence and Howard Boys. 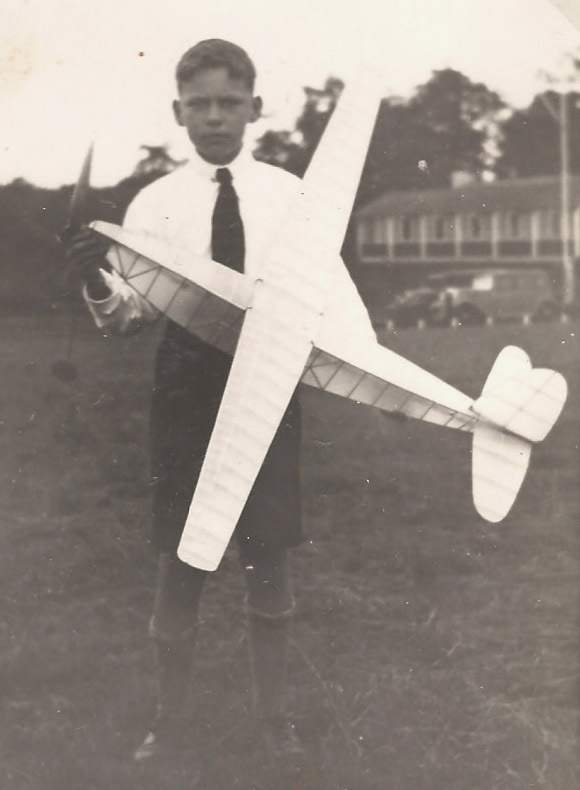 With his own 'pre-Conquest' at the age of 9 years - Ready to represent Great Britain in Detroit at the Wakefield Competition 1936 when aged 11 years! 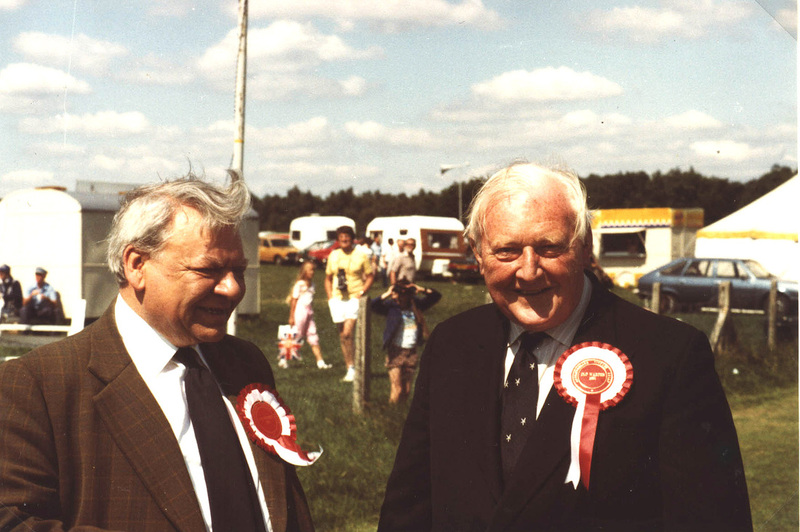 AG with James E. Pelly-Fry. Group Captain Pelly-Fry was firstly a very influential early model aircraft maker and subsequently a very eminent WW2 pilot. His book 'Heavenly Days' is a wonderful read!